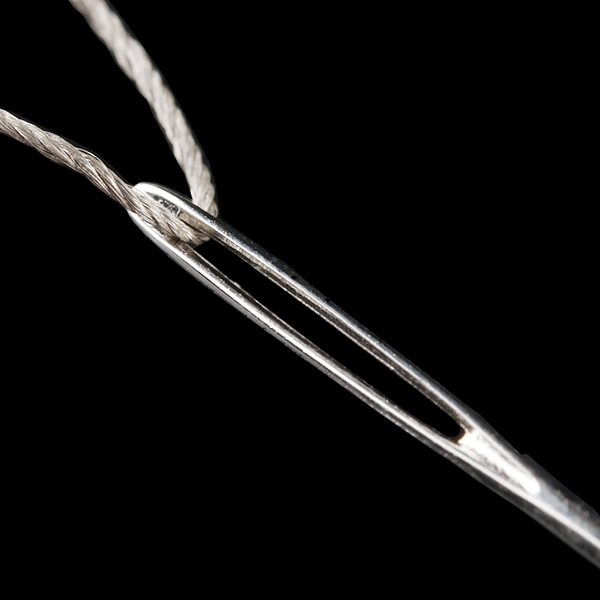 The bigger needles are easier and faster to thread than the smaller ones. Depend on the how many layers of material you are using and the part you are attaching, it might be better to use the smaller needle. For example, if you are trying to secure the snap assortment pack [ https://www.sparkfun.com/products/11347 ] to a piece of fabric, it would be better to use the smaller needle because of the size of the mounting holes. 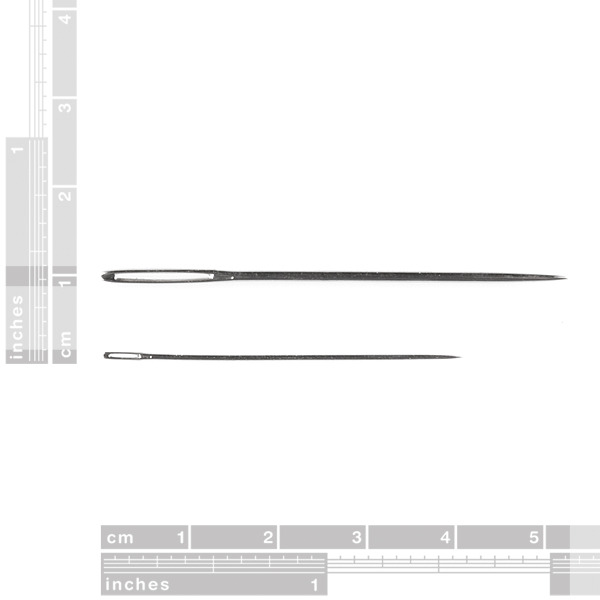 Hi, What is the conventional size of these needles, please? Eg size 22? Thank you! 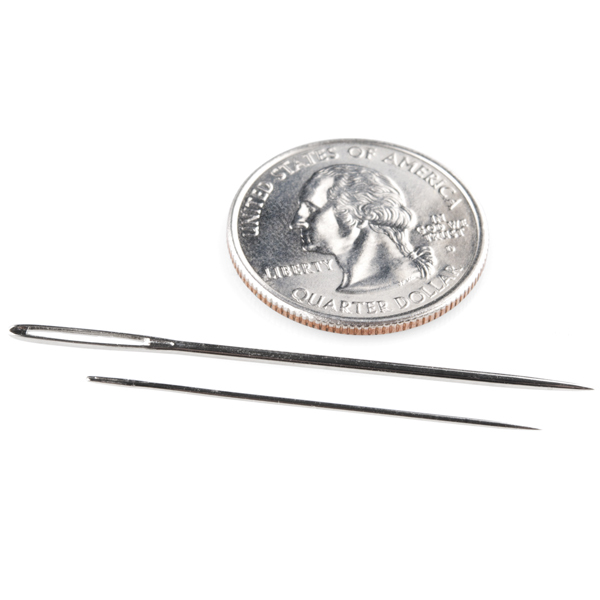 Will these needles fit through the sewable coin cell battery holders used with aniomagic products? How well would these go through Lilypad contacts? Pretty easily. Lilypad holes are at minimum 2.5mm diameter, more than twice the thickness of the thicker needle in this kit. I'd use the smaller one unless you're working with stiff fabric, though. 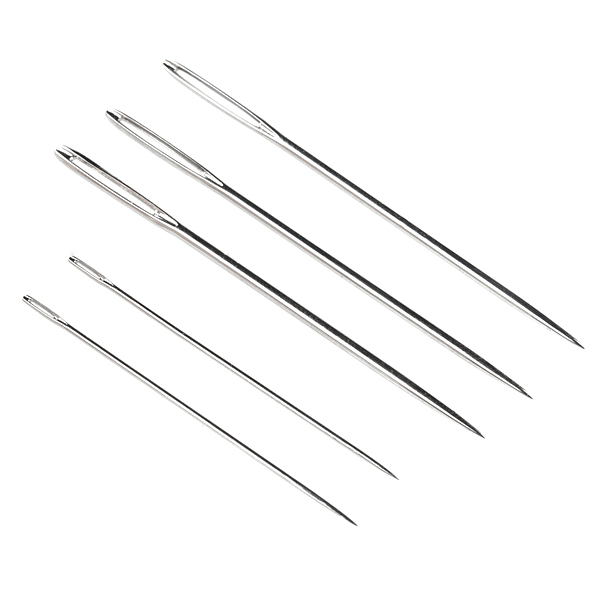 Will solder stick to these needles? I'm thinking super fine probe tips, for example for a logic probe. I haven't tried, but if you applied some flux and got it hot enough, you should be able to solder wire to it. You might have to rough up the metal a bit, but it should be entirely possible. You might also ask if they are coated with a thin layer of paint like some I've seen. If they are coated with a lacquer (which I doubt), that can be taken off with a lighter. I've used that method to take the lacquer off of lacquer coated wire. If not, you could try to square up the shaft a little with sand paper and wire-wrap them.